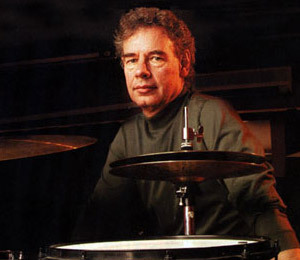 Bill Bruford will be coming to Columbus Percussion on Monday, October 17th at 8:00 pm for a book signing, lecture and appearance. Bill will not be playing drums at this apperance. Tickets are $5 and are available online. It’s the book everyone’s talking about: Bill Bruford:The Autobiography. Bill Bruford, the Godfather of progressive rock drumming, speaks candidly about his extraordinary autobiography. It’s a memoir of life at the heart of progressive rock and electric and acoustic jazz. It’s an honest, entertaining, and brilliantly-written account of Bill’s 40 years on the road and in the studio. Whether you are a starry-eyed beginner, an inquisitive fan, or a seasoned professional, you’ll be intrigued as Bill lifts the veil on life for the professional musician. This event will begin at 8pm.